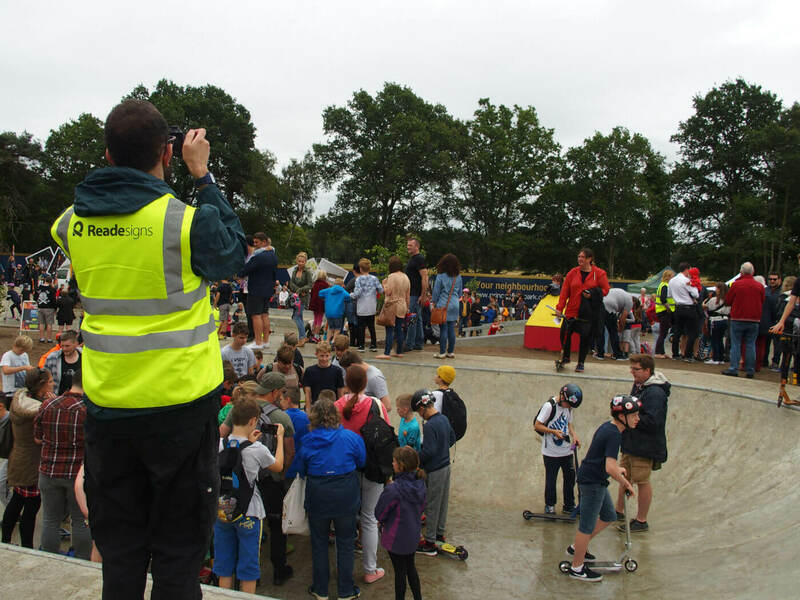 It always feels good to get involved in a new and positive development that could transform a town and its inhabitants, and our work at Bordon’s new skate park allowed us to do just that. We may have even played a small part to inspire a new generation of Olympic champions by helping to promote this fantastic new facility for young people, built on the site of a former Army barracks. 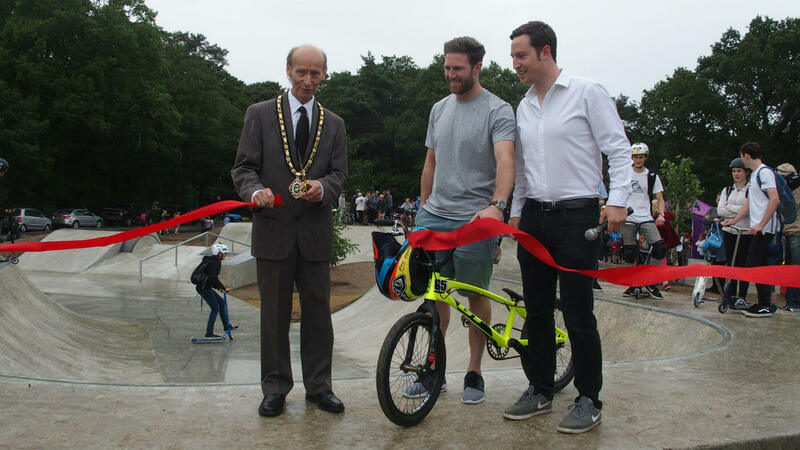 Whitehill and Bordon Regeneration Company commissioned Reade Signs to design, manufacture and install 200 metres of hoarding for Prince Philip Park at Budd’s Lane, for its official opening by the Mayor, Councillor Colin Leech and Team GB Olympian, World and European BMX champion Liam Philips. The development is part of a plan to transform Whitehill and Bordon with a new town centre, leisure facilities and 2,400 sustainable homes. 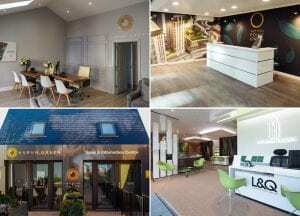 As is often the case, we had very little notice for the job but, as usual, we delivered on time. 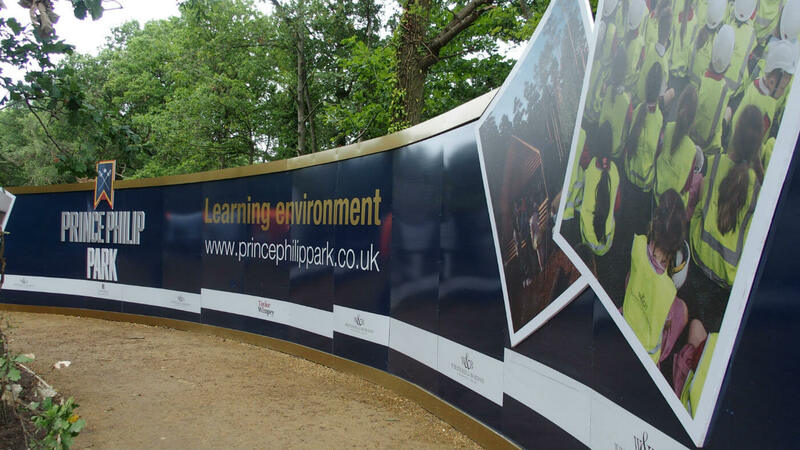 We were briefed to design the hoarding using specific logos, CGI’s, strap lines and pictures. 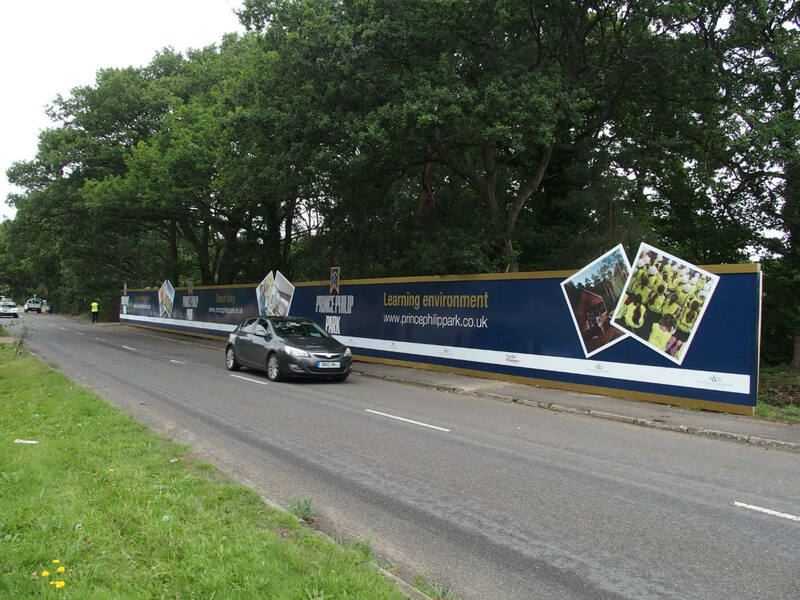 We also wanted to make this hoarding really stand out and make it look a bit different from the others already in and around Bordon as part of the town’s redevelopment. 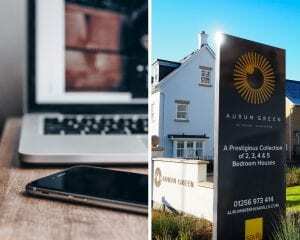 This meant a real joint effort by everyone at Reade to get the job done on time: studio, project managers and even our MD got together to come up with ideas in the short timeframe we had. 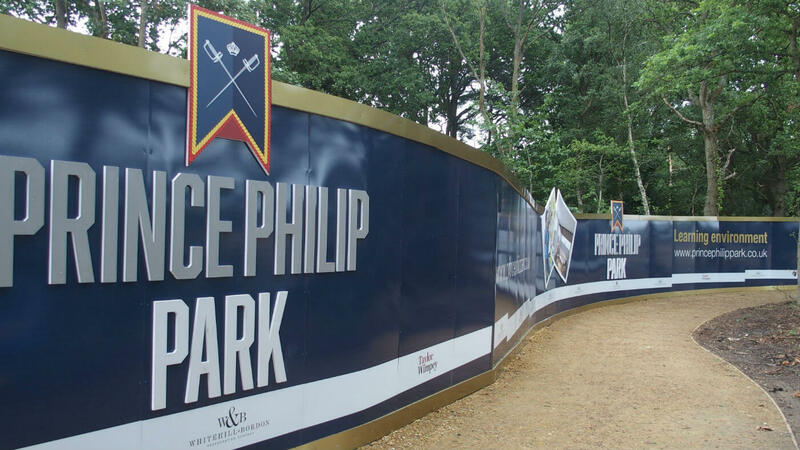 We decided to combine the standard ACM hoarding with 19 mm Foamex printed logos and pictures, making them all stand off and, in some cases, above the hoarding to give it the right feel. With a launch date now only 5 days away, we had many of our fitting crews on site for long hours to make sure the project was completed in time, but at the end of July, we were pleased that everything was in place and looked great for Liam’s visit, which drew hundreds of locals to the park’s opening ceremony. 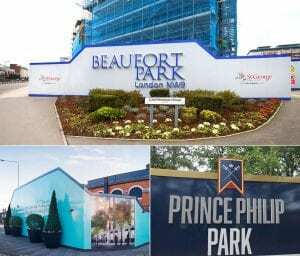 Reade Signs are looking forward to producing a further 200 metres of hoarding for the next stage of Whitehill and Bordon Regeneration’s development in the coming months. 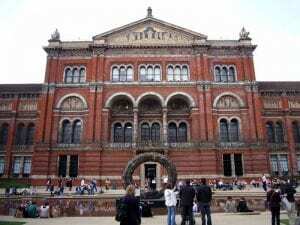 If you’d like to know more about how Reade Signs can help you promote an event or a new public facility then please contact us at Reade Signs or call 01252 336000.